A study last year found that collectively $44 billion was spent by brands on content marketing – this works out as around 39 percent of an overall marketing, advertising, and communications budget. Over the past year, headlines have been flying around telling the story of “content marketing is replacing SEO” or “SEO is dead, content marketing has taken over”. In many situations, the two are made out to be total rivals – who will win: content marketing or SEO? The reality is, there should be no showdown between the two, they should be working together seamlessly to boost your search marketing efforts and no business should be choosing one over the other. If you choose to just create regular content without doing any SEO, you may have an incredible read that no one can actually find to share and engage with. Alternatively, if you have some great technical SEO but no content, then your audience isn’t going to be able to build a relationship with you. 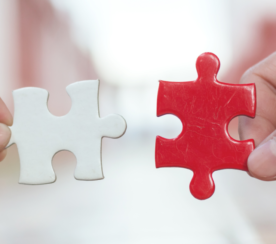 As search marketers, it is important to bring the two together and blend them as part of an ongoing search marketing strategy. Wikipedia is incredibly powerful when it comes to generating traffic and, unsurprisingly, it ranks for almost any search term on Google. Comedy Central once gave a presentation on their marketing, which showed that they receive over 100,000 visitors from Wikipedia every single month. Wikipedia often suffers from broken links due to the amount of pages and references it has. This is a fantastic opportunity to create content for a great SEO opportunity. 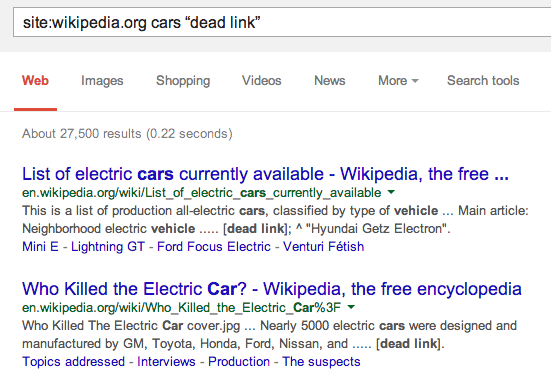 It is easy enough to find dead links on Wikipedia just using Google, type site:wikipedia.org [keyword] “dead link” into the search function and check out the results you get. Once you have found the dead link on a Wikipedia page, copy the URL and put it in Archive.org to find out what it was about. Create your own page on the same topic and go back to the Wikipedia page to edit the link and paste in your own. The key to this opportunity is creating a trusted account and making other edits first, so Wikipedia doesn’t just see you creating backlinks to your own site straight away. You can even take this strategy a step further by using Ahrefs to find the full list of sites linking to the dead link and contacting them in regards to swapping the link to your new relevant content. There is no point creating content people aren’t going to read, so make sure you are creating content your audience wants and needs, and will therefore share and engage with. Equally, you don’t want to be creating low quality content stuffed with keywords, as Google won’t like this and neither will your audience. Find out first what keywords and phrases you need to be and make sure you create high quality content that will be useful to your audience and will help you to rank for your key terms. You can also use trends as a focus for your content; this applies to both search engine and social media platforms. Use trending topics on Twitter to base your content on or use Google Trends to see currently trending topics that apply to your industry. Authorship and rich snippets are important for both SEO and content marketing, so it is important to have them implemented on your blog and website. By having your picture and name displayed in Google search results, you will improve the click-through rate, while simultaneously building authority as an author. You can set this up using your Google Plus profile. Link your profile on WordPress to your G+ page and in the “contributor” section of your G+ link to your blog author page. You can also use rel=author in a line of HTML to link back to your G+ profile. Although Google claims that Authorship does not directly affect rankings, it definitely gives authors more exposure and rich snippets allow you to capture the attention of your audience by using the micro data you want to be displayed. Before you publish your content make sure it is optimized for SEO. Link to it from older blog posts and other parts of your site, and make sure you have included appropriate CTAs, so the content can be shared and linked back to. Set up an embed code with a link back to your site and make sure your social sharing buttons include your username. There are two key elements of SEO when it comes to promoting and distributing content – links and social media. Link analysis comes in handy here; check out the link profiles of your competitors and see who links to their content, if these sites are authoritative they could be useful. With regards to social media, engagement is key. Track conversations and reach out to influencers. Research your community well and reach out to relevant people who are already talking about the subject at hand. Use the Fresh Web Explorer tool from Moz to see which sites are already talking about your topic. Once your content has been created around relevant keywords, optimized, published and promoted, it is crucial to find out how successful it was. Without this you will have no clue if your search marketing strategy is working or whether you should be tweaking parts of your overall approach. Use your analytics to work out how successful the content by looking at how many views it received, what the bounce rate was, how many shares it received, etc. Then determine how it ranks for the keywords it was created around and how much traffic is from organic search. Use this analysis to tailor your next piece of content – learn what could improve your strategy and apply it. Although content marketing and SEO require different skill-sets, this does not mean in they stand alone. 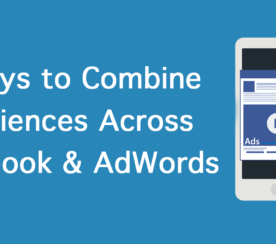 Combining the two helps you to rank better and gain higher levels of search traffic, but also to grow your audience and reach. 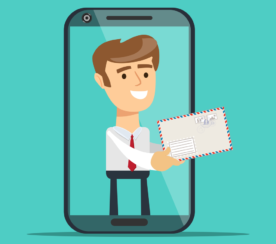 By combining the requirements of the search engine and the humans that use them, your business will be able to maximize your total marketing ability. When you next create a content marketing strategy, keep SEO firmly in mind when it comes to your research, production, promotion and analysis.